Columbia Teachers College has created a series of videos for students who want to work with the LGBT community. I am privileged to have been featured as a mentor and to be able to tell my story. This video discusses my dedication to non-profit work and how it has tracked my own personal life. These series of videos tell my story and why giving back to my community makes me a better lawyer and a better citizen. I hope that you enjoy this series as much as I have enjoyed living it. Property Columbia teacher’s College and rights were granted to TimeForFamilies.com to post these for your viewing. 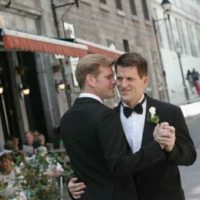 The post Working with non profits and how it changed my life – The Wedding Party and Men Having Babies appeared first on Time For Families.